Which Safety Standards Work Best for the Cannabis Industry? Steven Burton breaks down which certifications and standards cannabis companies should look at, both domestically and internationally. Now that governments are legalizing cannabis around the world, the question looms for cannabis businesses seeking legitimacy in the new industry: what safety standards should apply? This question is more difficult as different jurisdictions grapple with defining and implementing legal requirements and struggle to keep up with the pace of growth. For visionary cannabis business, it makes sense to anticipate requirements – not only from governments, but also from consumers and partners. Most regulations currently focus on security and basic health issues but, in the long-term, the industry that may offer the best model for cannabis businesses isn’t pharmaceuticals, but food. Cannabis (especially edibles) share similar hazards and traceability challenges with food products, so taking the lead from the food industry will be much more applicable and could offer greater benefits. 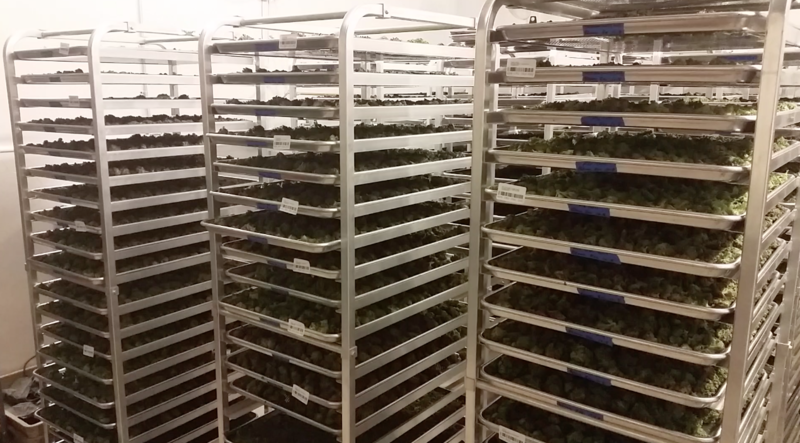 Dried cannabis curing with RFID tags as part of a traceability system. Companies that achieve the highest and most flexible certification will enjoy a crucial competitive advantage when it comes to winning market share, popularity and consumer trust. Let’s take a quick look at the different options of food safety (and quality) certifications that cannabis businesses may consider. But first, let’s clarify two important definitions that are necessary to understand the food industry. 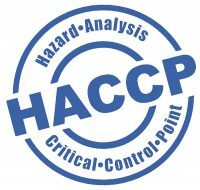 Secondly, many food safety programs are built around Hazard Analysis Critical Control Points, or HACCP. 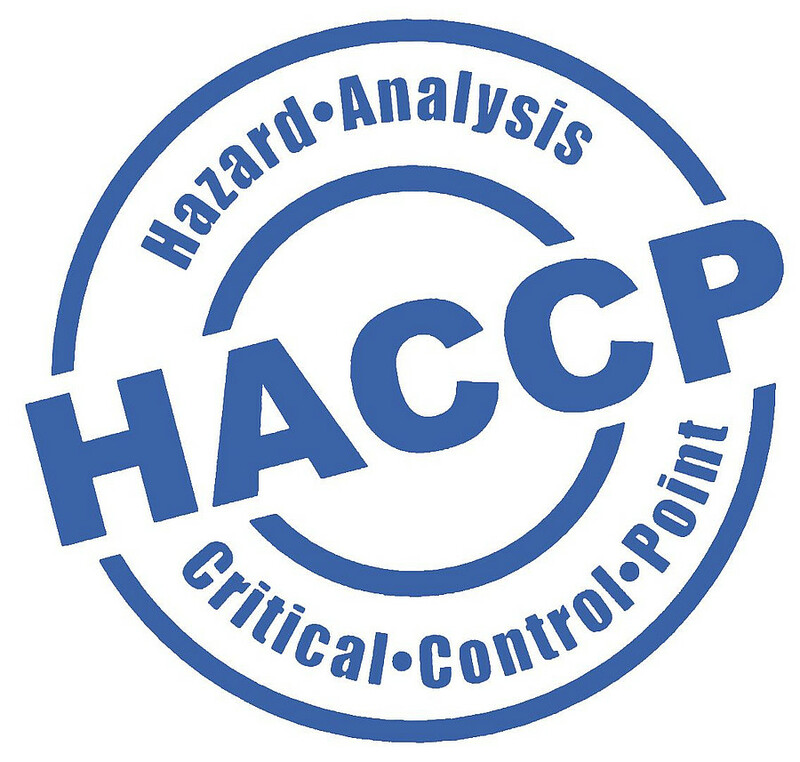 While many people may talk about HACCP like it’s a certification in and of itself, it is not actually a certification like the others on this list, but rather a methodology that helps companies systematically identify and control biological, chemical, and physical hazards that may arise during food production, handling, and distribution. Companies that adopt this methodology end up with a HACCP plan, which must then be followed at all times to avoid and address health and safety issues. It’s often required for food businesses and is generally required in most of the world, except where ISO 22000 is more common, primarily in Europe and countries whose primary export market is European. Since HACCP plans are also incorporated into most of the other achievable certifications, developing a HACCP program early will build a strong foundation for higher levels of certification. Now that we understand the basics of GFSI and HACCP, we can see how the certifications that have been developed by and for the food industry may apply to cannabis companies – and which you should consider necessary for your business. GMP (or sometimes cGMP) certification requires that companies abide by a set of good manufacturing processes for food and beverage products, pharmaceuticals, cosmetics, dietary supplements and medical devices. Since it really only covers basic sanitation and employee hygiene, it is considered the lowest level of certification in the industry. It is not recognized by GFSI, but GFSI does require all the standard benchmarks of a GMP be met before granting GFSI certification. While GMP certification is often required, it is far below the standard that should be upheld by any serious businesses. It doesn’t cover many of the different types of hazards associated with food production – that I have argued will become increasingly relevant to cannabis producers – and doesn’t provide a systematic approach to identifying and controlling hazards like a HACCP program would. It’s really just about providing the basic procedures and checks to ensure that the facility is clean and that employees aren’t contaminating the products. Final Verdict: Recommended, but as the bare minimum. GMP is not sufficient on its own to adequately control the risk of recalls and foodborne illness outbreaks, and it limits a company’s market potential because it lacks the GFSI worldwide stamp of approval. 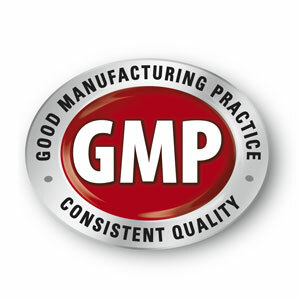 Some companies consider GMP certification a good place to start if you’re on a tight deadline for distribution in markets where only GMP is required by regulators. I would argue that striving for the minimum standards will be costly in the long run. Health, safety and quality standards are the foundations upon which winning companies are built. It’s critical to develop a corporate culture that will lead to GFSI-recognized programs without major organizational overhaul. Start on the right foot and set your sights higher – obtain a certification that will stand the test of time and avoid the pain and risks of trying to change entrenched behaviors. SQF is my number one recommendation as the best certification for the cannabis industry. One of the most common certifications in North America, SQF is a food safety management system recognized by retailers and consumers alike. It is administered by the Food Marketing Institute (FMI) and, importantly, recognized by GFSI, which gives companies a huge competitive edge. SQF focuses on the whole supply chain. SQF was also the first to develop a cannabis program and is currently the leader in this market segment. It is also the scheme that best integrates food safety with quality. Since it is recognized worldwide, SQF provides the greatest leverage to accelerate a company’s growth. Once obtained, products with SQF certification can often jump the queue to enter different regulatory markets. Final verdict: Highly recommended. 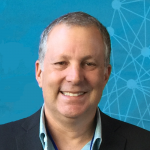 A cannabis company with an SQF certification has the greatest advantage because it offers the broadest worldwide reach and keeps companies a step ahead of competitors. It’s also achievable – just this past April, Curaleaf Florida ostensibly became the first cannabis company to achieve SQF certification. It is tough, but fair and practical. SQF is the top certification that should be considered by cannabis companies, especially outside of Europe. However, the food industry has several other major types of standards that, at this time, have limited relevance to the cannabis industry today. Let’s take a quick look. 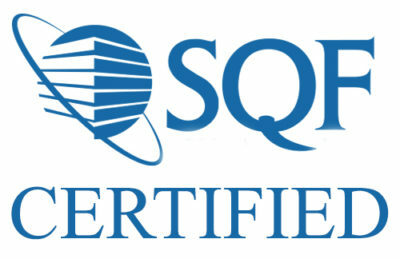 Across the pond, there are a few other certification standards that are more common than SQF. One of these is ISO 22000, which is the certification for the food-related standard created by the International Organization for Standardization (ISO) in Europe. It is not recognized by GFSI but is the primary system used in Europe. If your market is exclusively in the EU, it might be a good choice for you in the future. However, to date, there is no indication that any cannabis company has achieved ISO 22000 certification. Some cannabis companies have attained certification for other ISO standards like ISO 9001:2015, which specifies requirements for quality control systems, and ISO/IEC 17025 for laboratory testing. These are generally more relevant for the pharmaceutical industry than food and beverage, but still apply to cannabis. There is the perception that cannabis is more accepted in EU countries like the Netherlands, but the regulatory attitude to cannabis is complicated. In the Netherlands, for example, cannabis isn’t actually legal – “coffee shops” fall under a toleration policy that doesn’t include regulation. Medical cannabis in the Netherlands is all produced by one supplier and several countries in the EU allow for licensed distribution and import, but not domestic production. Various EU countries are trying to keep up with the legalization trend, however. The Czech Republic, Germany, and others all recently introduced legislation for domestic production of cannabis for medical use. For companies with their eye on the EU, it is crucial to watch which regulatory requirements will be implemented in each market and how. The last certification standard to mention is the result of a compromise between ISO and the more HACCP oriented programs like SQF. FSSC 22000 (Food Safety System Certification) tries to address the gaps between ISO 22000 and GFSI-recognized certifications by introducing another component called PAS 220. Since it is recognized by GFSI, FSSC 22000 is starting to get more traction in the food industry because it makes products a bit easier to export to the EU. FSSC 22000 satisfies the EU ISO standards but isn’t as closely tied to HACCP. We will be keeping an eye on this one. The food industry has a lot to offer cannabis companies that are anticipating future regulatory changes and market advantages – but it’s difficult for cannabis companies to understand all the options available and how each apply to their specific products. While markets adjust beyond the preliminary issue of legality, it’s crucial for companies to look forward and comply with safety and quality standards like SQF. Companies who strive for SQF certification (or other GFSI-recognized certifications as they become available) will find themselves far better prepared to seize market share as cannabis markets blossom.